IN Round 3 of the South Australian National Football League (SANFL) Women’s league, the most improved sides in the competition will test themselves against some of the best last season, while the two newcomers face off. The two teams in our first SANFL Women’s Round 3 game had different seasons in 2018, with Glenelg claiming the wooden spoon in a disappointing year, while North Adelaide looked every bit a premiership contender, finishing second before bowing out in the preliminary final. In 2019, their seasons have been different for the opposite reasons as Glenelg has managed to string two on the trot – albeit against the two new sides of the competition. For North Adelaide, after a Round 1 loss to their preliminary final conquerors Norwood, the Roosters bounced back with a seven-point win over Sturt. North Adelaide was made to work for it, booting three goals to zero in the third term to come from behind thanks to a five-goal Kelly Barltrop haul. On the other hand, Glenelg always looked in control, leading at each break and restricting the Bulldogs to just one goal in the first three terms, before recording a comfortable 5.7 to 3.2 victory. In season 2019, Roosters captain Nadia Von Bertouch is in the top five for disposals, averaging 17.5 touches from her two games, while Paige Allen is the next highest with 12.5 disposals per game. 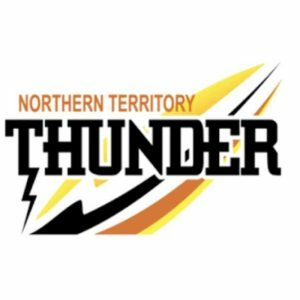 The Roosters will be in search of finding a more even spread of goalkickers in Round 3, having a low-scoring loss to the Redlegs in Round 1, before Barltrop did all the damage in Round 2. 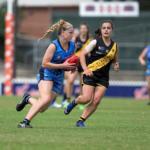 For the Tigers, Lucy Bellinger has been a prominent ball winner in season 2019, averaging 16.5 disposals per game, while Ellen Fauser (15.5) and Elle Kellock (14.5) have also been prolific. Key targets inside 50, Bellinger and Hannah Crump have kicked five goals between them in season 2019 and will look to do more damage this round, while Sam Franson and Fauser have also booted multiple goals this season. Despite ladder positions this could be a huge game with the Roosters capable of defeating anyone on their day, while the Tigers are clearly an improved outfit in season 2019. In one of the most anticipated matches of 2019, the two brand new sides will battle it out at Coopers Stadium to try and get on the board this season. Central District lost by 20 points in Round 1 and 17 last week against West Adelaide and Glenelg respectively. The Eagles were overwhelmed in Round 1 when they went down to the Tigers by 35 points, before Adelaide forward, Sarah Perkins helped the Eagles to only just miss out on four points against the Bloods. In terms of changes, the Bulldogs made the one confirmed change with Renai Richardson going out of the side, while Alicia Butler, Megan Boers, Lauren Smith and Demi Sonneman were all named on an extended interchange. For the Eagles, they have rolled the dice with four confirmed changes as Abby Pengelly, Hannah Scholar, Jo-Anna Baltais and Tesharna Maher were named as outs, while Chloe Forby, Natalie Subelli, Shae Pacifico Hart, Zahn Anthony and Courtney Jonson were named back in the side. This season both sides have had some impressive individual performances. Both Perkins and Kiana Lee have booted three goals so far this season, while Jaimi Tabb has two majors. In terms of possessions, Tabb leads the side with 17.5 just ahead of Stephanie Walker (16.5), Madeleine Dufek (16.0) and Georgia Taylor and Maher (15.0). For Central, Danielle Stewart (17 possessions), Hannah Pavlovich (15) and Jayme-Lee Sonneman (13) are the three players in double figures, while Katelyn Rosenzweig has booted 2.4 in her two games this season for her new side. The Eagles will go in as favourites after a promising game last week, but the Bulldogs will be keen to assert themselves against a fellow newcomer. The second game at Coopers Stadium sees the in-form Norwood taking on the winless, but improving Sturt. The Redlegs passed an important challenge last week by disposing of reigning premiers South Adelaide, while the Double Blues just fell short of victory against North Adelaide in Round 2. Norwood could take top spot if both Glenelg and West Adelaide lose – both sides are playing two of the top three last year – so a win here is important. The two points are even more important for Sturt, with a win keeping them in contention of the top four. Norwood have brought two players into the extended side with Jiarna Zerella and Emma Clark both named, while Sturt have made two direct changes as Holly Temby and Maisie Nankivell come into the side for Brooke-Lee Chaplin and Sophie Yeates. Hannah Dunn is the leading ball winner in the SANFL Women’s competition at 23 possessions per game, one ahead of teammate Najwa Allen and West Adelaide’s Maddi Newman. 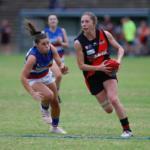 Sturt’s Georgia Bevan has also been busy around the stoppages, averaging 18 touches in her two games so far. On the scoreboard front, Allen has been the most accurate player in the competition, slotting 4.0 in her two games, the only multiple goalkicker for the Redlegs. For Sturt, Lauren Lovell and Caitlyn Swanson both have two goals apiece to lead the Double Blues’ goalkicking. In the history of the SANFL Women’s Sturt is yet to defeat Norwood, so will hope to turn the tables in this game. Both of Norwood’s wins this season have seen the Redlegs come from behind at one break with the South Adelaide win following a seven-point quarter time deficit, and a three quarter time two-point deficit saw Norwood run over the top of North Adelaide. Sturt has been on the receiving end, having led South by four points at quarter time and North by five points at half-time. Norwood heads into the game as strong favourites given the Redlegs’ record, but you can never discount the Double Blues who have shown promising signs in the past rounds. In the final game of the round, West Adelaide takes on its South counterparts, in what could be a big game for gaining momentum early in the season. The Bloods are undefeated having disposed of the two new sides to the competition, while the Panthers went down to Norwood last week after a victory against Sturt in Round 1. The Bloods have brought in five players on an extended interchange bench with Kelly Whittaker, Phoebe Edwards, Lauren Rodato, Melanie Elsegood and Georgie Pater coming in for Helen Maidment, Alexandra Czabayski and Jacalyn Pickering. The listed changes for Sturt feature a huge inclusion with big ball winner, Nikki Gore returning to the side with Mykala Walker-Murphy, Elyse Haussen, and debutants Caitlin Radbone and Emily Brockhurst, while Lauren Buchanan was unavailable for the clash and both Natalie Gibbs and Emogen Johnson were omitted. Looking at the season so far, West Adelaide’s Maddi Newman has been the most prominent ball winner in the game, averaging 22 touches per game ahead of Abbie Ballard (16.5). For the Panthers, Czenya Cavouras has averaged 17 possessions per game, while bottom-agers Hannah Munyard (16.5) and Montana McKinnon (15.5) have also been prominent. In the goalkicking stakes, Chelsea Biddell‘s six majors last week helped her side get over the line, while for South Adelaide, Teah Charlton leads the team with three majors this season. This game looms as a thrilling contest because South Adelaide has more runs on the board as reigning premiers, but the Bloods are still undefeated and will be confident heading into the game.